487 in stock Need More ? 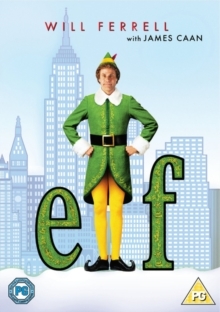 Will Ferrell stars in this festive comedy directed by Jon Favreau. Brought up by Santa (Edward Asner) and his elves at the North Pole, Buddy Hobbs (Ferrell) has spent the last 30 years happily working in Santa's toy workshop and believing he too is an elf. But when his ungainly size starts to cause problems in the elf-sized workshop, Santa suggests that Buddy head to New York City to find his biological father, Walter (James Caan). Once there, Buddy struggles to fit in in the Big Apple and finds himself in all sorts of scrapes as he tries his best to spread Christmas cheer wherever he goes.